One core component of vSphere 5.5 is the new hypervisor ESXi that comes with new features. 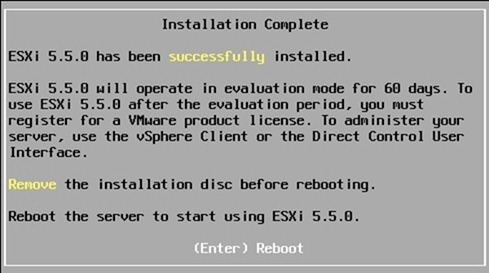 Installing ESXi requires few steps and the procedure is pretty easy. 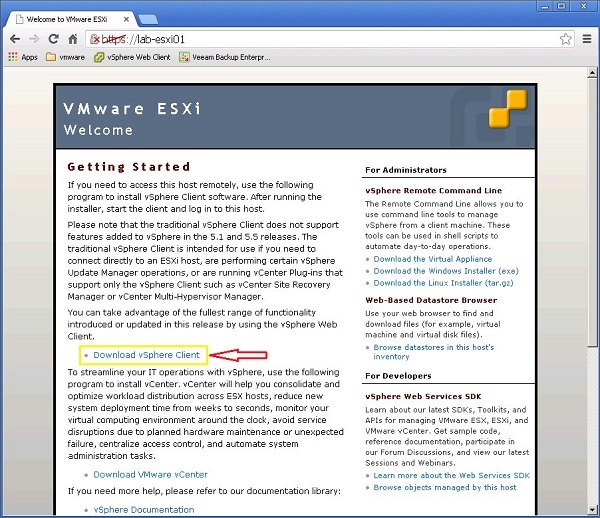 This procedure covers main steps to perform a correct installation of ESXi. To complete setup successfully is necessary to check that used hardware is listed in the HCL di VMware. Launch the installation process from the boot media and leave default Standard Installer option. 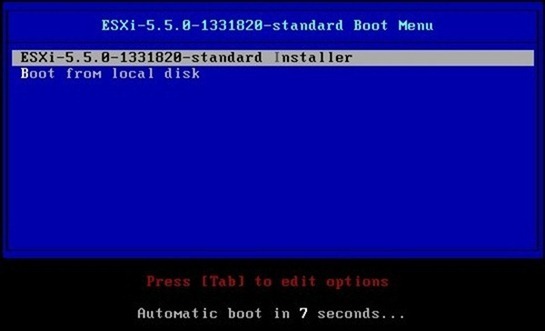 The procedure starts by launching the ESXi Installer. 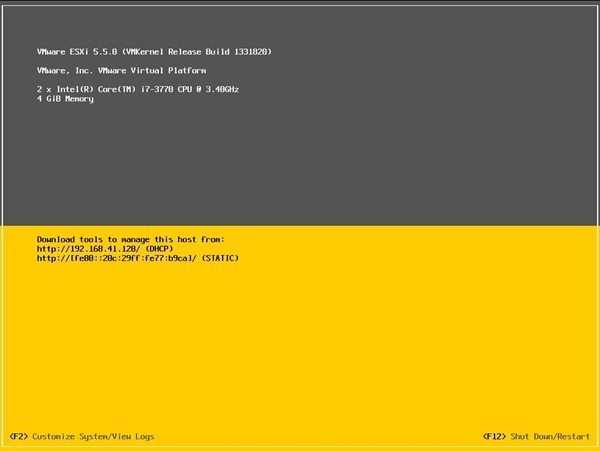 The ESXi installer loads requested drivers and core system to the computer. Main services are started to allow the installation and access to main configuration. Press Enter to perform the installation. 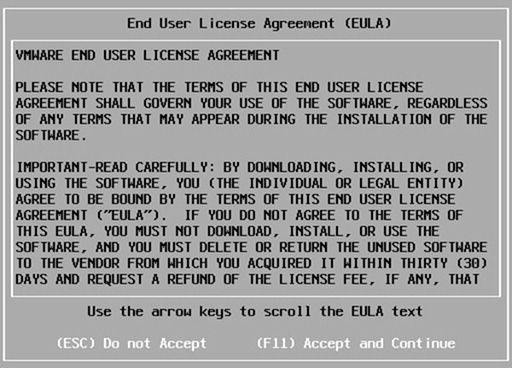 Accept the EULA then press F11 to continue. The procedure scans available devices. 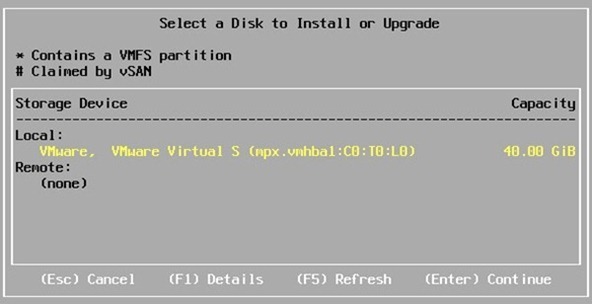 Depending on your hardware, the ESXi installer shows available disks to install. Select your target then press Enter. 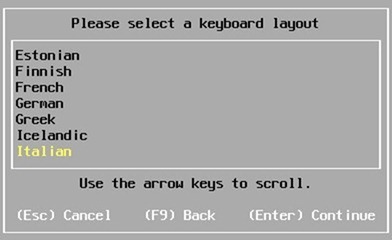 Select your keyboard layout the press Enter. Type a root password in order to protect your ESXi host. Press Enter to confirm. The Installer performs an additional scan to get additional info. To confirm the installation press Enter. A progress bar shows the ongoing status. When the installation is complete, remove the installation media then press Enter to reboot. A message warns you about rebooting server. When the ESXi host has rebooted, the main screen is shown. As default, network parameters are set from DHCP if present in the network. By pressing F2 you can customize the ESXi network environment. Next steps will perform the installation of vCenter Server required to enable all the new features.